BE A PART OF THIS GREAT NEW INITIATIVE!!! There’s so much to see and do and celebrate here in the Municipality of Chester and who better to share what makes the municipality so special than YOU the residents themselves. That’s why Tourism Chester is launching #LOVEwhereyoulive. This year round program gives residents a prominent platform through which to share all the reasons why they love living in the Municipality of Chester AND a monthly opportunity to WIN a very special designation – the AMBASSADOR OF BUZZ! By sharing a story, picture, video, and/or post online - through our website or by tagging @TourismChester #LOVEwhereyoulive on social media - residents of our municipality will be eligible for our monthly random draw for the Ambassador of Buzz VIP Card. The winner of which will receive 10% off ALL of our awesome participating Ambassador of Buzz Businesses for the ENTIRE month. With their special VIP Card each Ambassador of Buzz can shop, play, dine and stay throughout the MOC like never before – enjoying their VIP discount wherever they go! We’ll be sharing the stories we receive on Twitter, Facebook and Instagram @TourismChester and on our website too. Indeed we’re looking to create a wonderful wealth of resident testimonials. Our #LOVEwhereyoulive submissions are already rolling in with plans to make the draw for our first Ambassador of Buzz on November 1st, 2018 (YES - just in time to kick off your Christmas shopping in style!) so in tell us why YOU #LOVEwhereyoulive today!!! 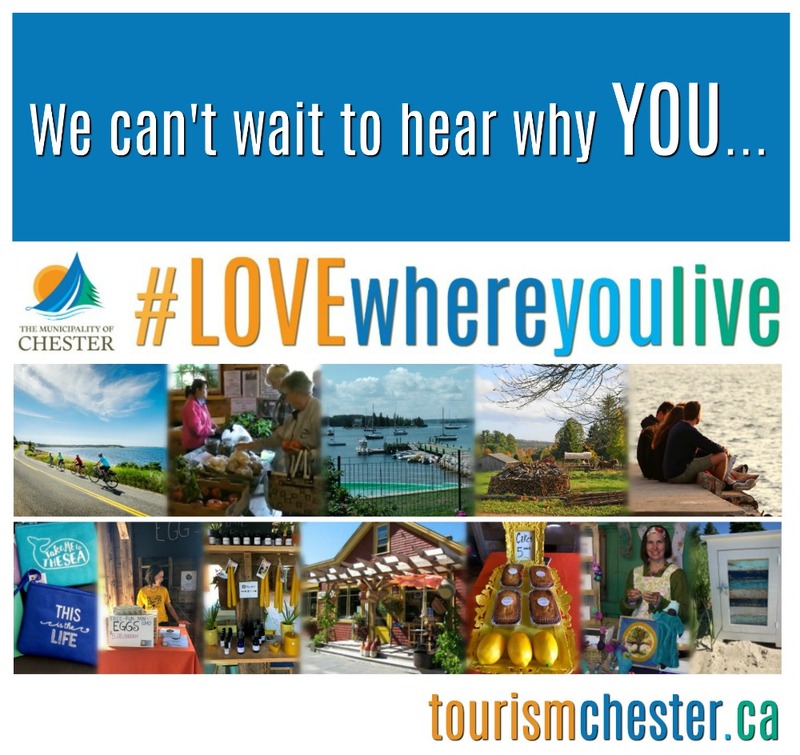 All of our Ambassador of Buzz Businesses will be listed here on the website at tourismchester.ca and on our Facebook page too, as well as in all of our media releases about the #LOVEwhereyoulive program. #LOVEwhereyoulive is a celebration – we sure hope you’ll be join in the fun!